Aya Cash started her acting career on stage until she built a repertoire strong enough to carry her onto the big screen. However, even after her big screen break, the actress continued to show up in a few off-Broadway productions. The actress has been in movies such as Spellbound, Off Jackson Avenue, Sleepwalk with Me, and Mary Goes Round. Cash’s television film involvements include productions like In Men We Trust, Brotherhood, The Newsroom, and American Dad! 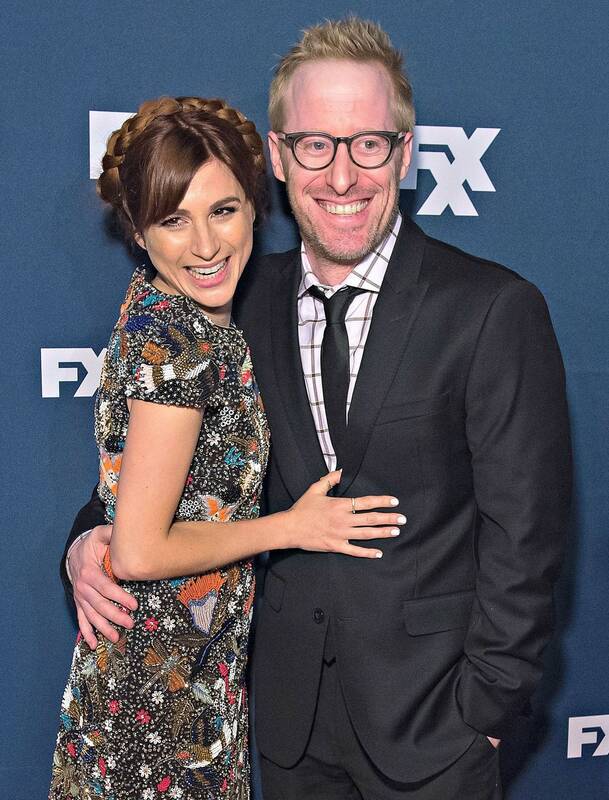 Her greatest project came when she joined the cast of FX Network series You’re The Worst in 2014. For her role in the series, she has received plaudits from fans and critics alike. The actress was born Aya Rachel Cash in San Francisco California on July 13, 1982. She may not have gotten her acting genes from her parents or anyone else in her gene pool, but she was born to two creatives. Her mother, Kim Addonizio, who is Catholic, is both a poet and a novelist. Her father, Eugene Cash, whose family is Jewish, makes a living as a Buddhist teacher. Aya comes from sports royalty too; her maternal grandparents are Bob Addie who is a sportswriter and Pauline Betz who was a Wimbledon winner in 1946. To hon her acting talent, Cash studied at the San Francisco School of Arts. Following her time there, she spent some time at the Guthrie Theater Actor Training Program of the University of Minnesota. At both Institutions and after, the actress recorded a few stage credits. These included 2014’s off-Broadway production of Trudy And Max In Love, written by playwright Zoe Kazan. The actress made her big screen debut in 2006 when she appeared in an episode of Law & Order as a character named Janine Lesko. In the same year, she would appear in an episode on the show’s sister series, Law & Order: Criminal Intent as Lori. Up until the end of 2009, Aya was part of television shows and movies like In Men We Trust (2006), Spellbound (2007), Off Jackson Avenue (2008), Law & Order: Special Victims Unit (2009), and The Bits in Between (2009). Her biggest role yet came when she joined the cast of the television series Traffic Lights in 2011. She played the character Callie for 13 episodes of the series. She also had another recurring role on The Newsroom and We Are Men two years later. In 2013, she got to join the likes of Leonardo DiCaprio, Matthew McCounaghey and Margot Robbie on the set of the infamous The Wolf of Wall Street. She played a minor/supporting role as Janet, the assistant of the lead character Jordan Belfort played by the man from Titanic. In 2014, Aya Cash became part of the You’re the Worst family playing Gretchen Cutler. This became her lengthiest project usurping Traffic Lights. As at the end of 2017, the San Francisco School of Arts alumna has been on 49 episodes of the series. In 2015, Aya was a nominee for Best Actress in a Comedy Series category of the Critics’ Choice Television Award. From 2015 to 2018, Aya Cash has done a lot more work on many series and movies. She has been Vanessa and Amber Audrey on an episode each of Modern Family and The Good Wife respectively. She has also been on American Dad!, 10 Crosby, Loitering with Intent, Big Brother Volcano, and Brand New Old Love. The San Francisco native is married to Josh Alexander. The couple walked down the aisle in 2012. Aya and her husband work in the same industry, with Josh working as an actor, producer, and writer. Josh, who is a fraternal twin did his high schooling at Gunn High School located in Palo Alto, California, after which he moved on to Vassar College. Josh Alexander is known for acting in movies like Contestant, Hey Joel, My Best Friend’s Girl, Law & Order, and Vamperifica. He has also been a writer and producer on documentaries like Pretty Old, Southern Rites, The Reagan Show, I’m Leaving Now and Prescription Thugs for which he was writer and co-director. The actress stands at a petite height of 5 feet 1 inch (154.9 cm). Aya Cash who has Jewish ancestry, tattoed a hawk on her back because she was told her first name meant “Hawk” in Hebrew. She would find out years later that it actually means “honey buzzard”. Cash appeared on Law & Order a year before her husband joined the show as an actor. She also worked with Josh on The Bits in Between three years before their wedding. Josh played the character Griffin Klein while Aya played Suzy. In 2015, the actress was lauded by The A.V. Club. The online publication called her performance on You’re the Worst the “best performance of 2015”.